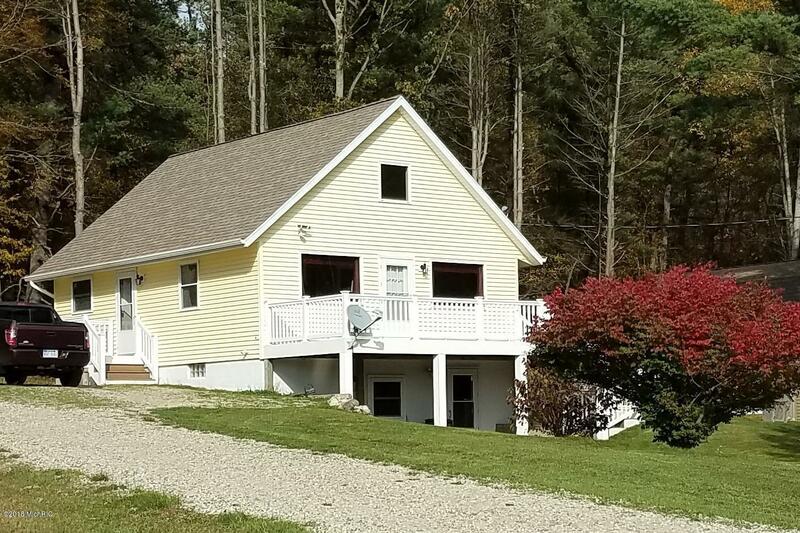 Super cute and very well cared for chalet on 19.5 acres of land. This can be your get-away place for peace and relaxation. The property is serene and offers breathtaking outdoor views. The home is a 3 bedroom, 2 bath chalet with finished lower level. Large composite deck for outdoor seating. A large barn with loft space and an additional shed type barn for plenty of storage and workshop space. The home was built in 1976 and remodeled in 2009/2010. It offers beautiful maple cabinets in thekitchen, solid surfaces, pullouts and high-end appliances. Baths have ceramic tile and solid surfaces. This home has tons of storage and extra spaces throughout. A new well in 2011 and a 1200 gallon septic tank. Wonderful wooded area for wildlife views. Gated entrance. Could be a hobby farm!